So put quite simply, Pilates is a form of exercise that’s for everyone – men and women, celebrities and everyday people, young or old, fit or flabby. Like many other kinds of exercise, Pilates increases metabolism, promotes respiratory and circulatory function, and improves bone density and muscle tone. And like Yoga and martial arts, it can help you to “get centered” and calm your nerves. Now more than ever, Pilates is pertinent to the way you live your life today. Think about your work and recreation habits. They both probably involve sitting still for extended periods of time. The result is a constant state of oxygen deprivation and disproportionate muscle development. Getting up for a short stretch or a drink of water feels great, doesn’t it? That’s because you’re satisfying your body’s natural instinct to move – and moving around works the muscles and pumps more oxygen into your brain and body. Your body craves motion, so why deny it? Pilates is all about breathing and moving more fully – both of which we need to do more often. Over the past half-century, our “civilized” lifestyle in the West has become increasingly sedentary; while our bodies, which evolved in nature and were built for action, have not changed one iota in design. The Pilates Method puts action back into your life – natural, controlled, healthful, fluid, and graceful action. So who was this Pilates character, and what makes his approach to exercise so popular? A native of Germany, Joseph Hubertus Pilates suffered from asthma, rickets, and rheumatic fever as a child. Determined to overcome his ailments, he began to study anatomy as well as Eastern and Western forms of exercise, including Yoga, weight training, wrestling, and acrobatics. He was particularly enamored of the ancient Classic Greek “ideal man” who was equally schooled in cognitive thinking, philosophy, and history, but also maintained a finely tuned, athletic body. Pilates developed a series of floor routines that demand balance, flexibility, strength, power, agility, and acute mental focus in order to execute them correctly. Between the two World Wars, Mr. Pilates moved to New York, where his unique approach to fitness quickly caught on as an “underground phenomenon” with the city’s professional dance community. Significantly, most of the “Master Teachers” (original students of Joseph Pilates who went on to assimilate and teach his work) were professional dancers. Still, it is completely inaccurate to believe that one must be a dancer to benefit from Papa Joe’s work! As often happens with true genius, Pilates’ body/mind approach to working out was about 50 years ahead of its time, and it has only begun to achieve widespread popularity in the past decade. Fitness in the New Millennium is first and foremost a search for the more balanced approach Pilates originally taught back in the 1940s. Today, people everywhere (not just in Hollywood!) are discovering the benefits of the exercises and innovative apparatus designed by Joseph Pilates. Professional athletes and dancers, pre- and post-natal women, senior citizens, weekend warriors, and couch potatoes alike are enjoying his unique method of attaining physical fitness. And with its emphasis on mental focus and concentration, the mind is refreshed as well as the body. More good news: With the Pilates approach to a balanced body, it isn’t necessary to do scores of mindless, boring, repetitive, and exhausting exercises to achieve spectacular results (you might as well call them “vexercises”!). With Pilates, you’re not likely to suffer undue muscle strain, so there’s little risk of injury. What you can expect is a longer, leaner line to the musculature – think of a beautiful ballet dancer or finely sculpted racehorse. Other improvements include better posture, higher energy levels, and increased coordination, balance, flexibility and strength. Regular practitioners also boast better body awareness, which carries through into improved practical function in all daily activities, including playing sports. One precisely executed Pilates session is worth more than several hours at the gym – and afterward you’ll feel invigorated, not exhausted. Joseph Pilates was very much a Renaissance man in the old-fashioned mold. He read widely, and incorporated into his exercise system various aspects of Yoga, Zen, anatomy, gymnastics, martial arts, and ancient Greek and Roman physical regimens; not to mention elements of the teaching techniques of F. Matthias Alexander, movement theories of Rudolf von Laban, and the fitness and training principles advanced by Vladislav Krayevsky, Friedrich Jahn, Eugen Sandow, and others. Thus, it should come as no surprise that Pilates as a method of systematic mind-body development has similarities and beneficial applications to other spheres of physical and mental activity. Unlike weight training, which can be very useful for gaining strength in individual muscle groups, Pilates movements are generally more complex and therefore recruit a higher number of muscle groups within each exercise. Pilates exercises also require a greater range of joint motion, and therefore work to stretch as well as strengthen muscles. Who couldn’t benefit from a greater range of motion, especially as we age? The Pilates Methodology is based on sound scientific principles that squarely address the structural realities of the human body. Among its many benefits, it seeks to promote good posture by balancing the body and distributing the normal physical stresses of standing and moving among the appropriate bone and muscle groups. Pilates can be a wonderful solution to poor postural habits because the exercises encourage bilateral, even muscle development and flexibility at the same time. There is an erroneous impression that Pilates exercise was created by a dancer specifically for dancers, but nothing could be further from the truth. Joseph Pilates was not a professional dancer, nor did he create his workout regimen specifically for dancers. However, if you want to move with the grace and style of a dancer, and sport the strong sculpted muscles and flexibility of a dancer, Pilates may be the perfect workout for you! Why? Simply because both Pilates and dance stress excellence of movement. In both disciplines, there is an emphasis on the purity of the form of the execution of each and every movement. In other words, there is an aesthetic in dance that coexists in Pilates exercise. Therefore, when you choose to do Pilates, the goal is not only about how much resistance you can push around (strength), or how many repetitions of a movement you can do (endurance), but also about how effortless and flowing you can make the movements look as you perform them. What are the differences between Pilates and dance, you may ask? First and foremost, dance is usually performed to the rhythm of music, whereas classic Pilates uses the rhythm of the breath to set the dynamic of the movements. This makes Pilates a true mind-body discipline, because when you are focusing on breath control in conjunction with the movements you are doing, you cannot be concentrating on anything but the present, as you do when you are meditating. Finally, dance is, after all, a performing art, and Pilates is a form of exercise. Pilates can be performed anywhere and anytime, whereas dance requires a more formal space (and usually a much larger one!). To enjoy the benefits of Pilates, all you need is a Pilates mat, and enough room to lie down on it. You may be wondering: If Pilates and Yoga are both considered mind/body disciplines, what are their similarities? Another similarity is that many of the exercise movements in Pilates (or “poses” as they are called in Yoga) look alike. This is because Joseph Pilates studied Yoga, as well as many other types of exercise, as he was developing his system. Mr. Pilates “borrowed” some of the best things about Yoga. Bikram based students will feel challenged with the Pilates practice, but it won’t be such a struggle do to the strength, balance, and flexibility already established via your regular Bikram practice. 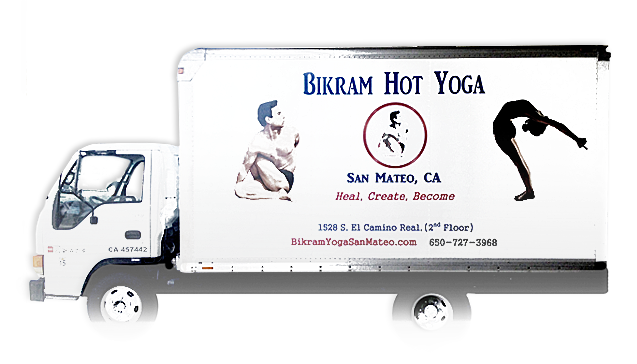 Pilates will add support to your regular Bikram yoga practice. With both Bikram and Pilates practices combined, it will create a very balanced and beautiful body overall. Adding 1-2 Pilates classes per week, along with your regular Bikram yoga practice, your body will become more fluid with a fit appearance. Joseph’s obituary, appearing in the New York Times in 1967, reads like an advertisement for his methods. He is described as a white-maned lion with steel blue eyes (one was glass eye from a boxing mishap), and mahogany skin, and as limber in his 80’s as a teenager. Joseph and Clara operated their exercise studio for over 40 years. He had dedicated his life’s work to restoring the health and vitality of others. Gone now for thirty-five years, the essence of his work continues on into the 21st century. Joseph Pilates’ method of physical and mental wellness has been a best-kept secret of the dance and entertainment world since the 1920’s when his studio was discovered by Martha Graham, the mother of modern dance, George Balanchine, the artistic director for the New York City Ballet, and Rudolf Von Laban, founder of Labonotation. Dancers such as Hanya Holm and Romana Kryzanowska, along with prizefighters, actors, actresses, and traveling circus performers embraced his methods both for the total body conditioning needed for the rigors of their work and also for rehabilitating the injuries that often plague dancers, performers, and athletes. Dance companies all over the world use Pilates’ exercises to keep their dancers in top form. Today his method is taught around the world in studios, gyms, in universities and even grade schools. Due to the attention the mainstream public gives to Hollywood celebrities, the name Pilates is now a household word thanks to the many film and television stars who credit Pilates for their toned-physique. So Many Benefits From One Exercise Method! So what’s all the buzz about Pilates (puh-LAH-teez)? What is it? And what can it do for you? Quite simply it’s a unique exercise method developed by Joseph Pilates, the Einstein of fitness, nearly 100 years ago. Now it’s one of the most popular workouts worldwide. It’s so effective that elite athletes use it and physical therapists prescribe it. The benefits are numerous both physically and mentally. In fact, there is no other exercise method that delivers more benefits. Here’s a quick look at them. Strengthens core muscles better than any other exercise method. Creates tremendous strength without bulky muscle tissue. Combines the 3 exercises that the body requires – strength training, stretching, and cardiovascular conditioning. A quick and whole-body workout. Eliminates most back, neck, and joint pain so effectively that ‘core strength’, a term coined by Joseph Pilates, is a key principle in physical therapy. Unlike many exercise methods, Pilates does not harm our joints. Improves posture, balance, circulation, strength, flexibility, and range of motion. You feel invigorated after a workout rather than exhausted. Safe for any age or fitness level. Exercise anywhere and anytime without equipment or a gym. Everyday movement becomes easier, more coordinated, and graceful. Heightened physical and mental awareness. Pilates movements condition the body as a whole, and tone muscles. And as with any exercise, Pilates makes weight management more likely to succeed with a reduction in fat buildup in the belly, thighs, and hips. When the body becomes more healthy, it looks more beautiful. What to bring: Come well hydrated, bring a yoga mat and full size towel (rentals available). * Class is 60 minutes for Classic Hot Pilates. In consideration of other students please no late arrivals or early dismissals.